Have you and your GoPro seen every spot in North America that allows you to risk it all? Bored of the same old adventures and the rules that keep you from achieving the perfect high? Switch it up. You’re young! You won’t be able to try most of these things in a few years, so live a little and chase that rush! There are adventures for everyone’s inner Daredevil. Wake up early in the morning (at least an hour before sunrise) to get in line for a bus that’ll drop you off just outside the Incan ruins. You don’t want to be late because you absolutely have to catch the breathtaking sunrise. You can see the light slowly trickle over the mountains until the sun breaks through. Not to mention a great selfie moment that’s guaranteed at least 100 likes. 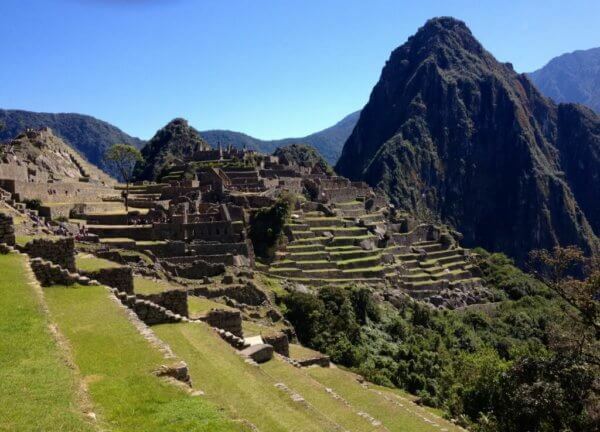 Huayna Picchu (the mountain you see in the background of classic Machu Picchu pictures) is the route to take if you like perilous hikes and want the best view of the city. But how will hot springs satisfy my adrenaline needs? Costa Rican hot springs aren’t normal hot springs. These are on a volcano. Choose any season you prefer because all adventures are equally satisfying—just don’t choose white water rafting in the winter! 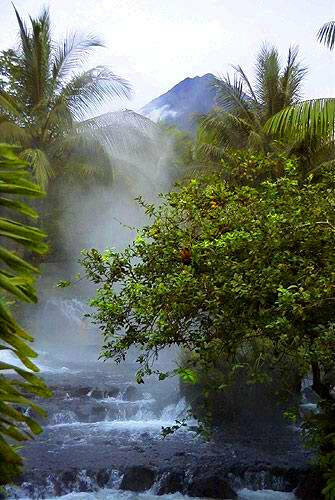 Horseback riding through mountains, zip-lining across rainforests, surfing along the coast and rappelling down waterfalls top the list of Daredevil-esque adventures; but at the end of the day, the Arenal volcanic hot springs let you relax to gear up for the next sunrise. No, you didn’t read that wrong. You can walk through an ancient city that will make any spectrologist jealous. Anyone with a knack for complicated Aztec words and a desire to walk with the ghosts of sacrificial victims should hit up Teotihuacan. 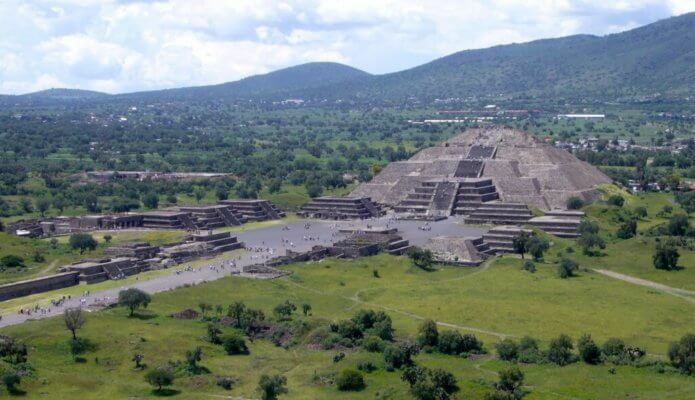 With the Temple of Quetzalcoatl (otherwise known as the Temple of the Feathered Serpent) at the south, you have to walk up the Avenue of the Dead and pass the Pyramid of the Sun in order to reach the Pyramid of the Moon: where humans were sacrificed for the gods. Teotihuacan means birthplace of the gods—thus the importance of human sacrifice—and wins the award for best temple names. While Rome traps tourists with fake gladiators standing outside the Colosseum, you can experience the complete immersion into an ancient history. Walk down the cobblestone streets, turn a corner and suddenly you’ll be looking at a 2,500-year-old building that somehow managed to stay upright. Make all the classic stops: the Baths of Caracalla, the Roman Forum and the Pantheon. 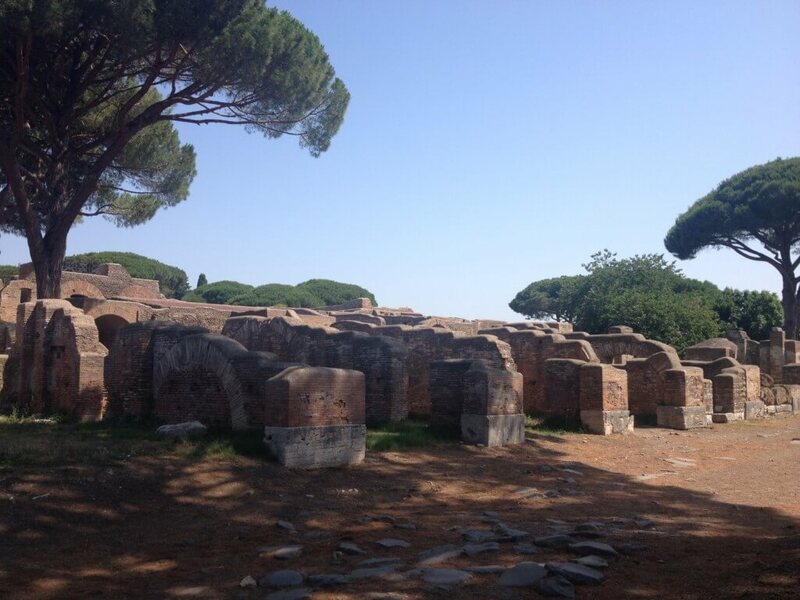 If you want to go a bit off the beaten path and make some adventures of your own, head over to Ostia Antica–the port of Ancient Rome. Dig deeper into the brush and you may find an area previously unexplored with 2,000-year-old relics. Be warned: you might not be able to find your way back. Quick tip: Dead of summer is the worst time to visit—there’s a tourist overflow, and the heat melts the rubber off your shoes. Any other season will do but, if you take that chance, you need to go to Gelateria La Romana, Via Venti Settembre. While many world travelers visit Iceland during the winter to increase their chances of getting to see the Aurora Borealis, it’s not recommended—mostly because that would be all you see. 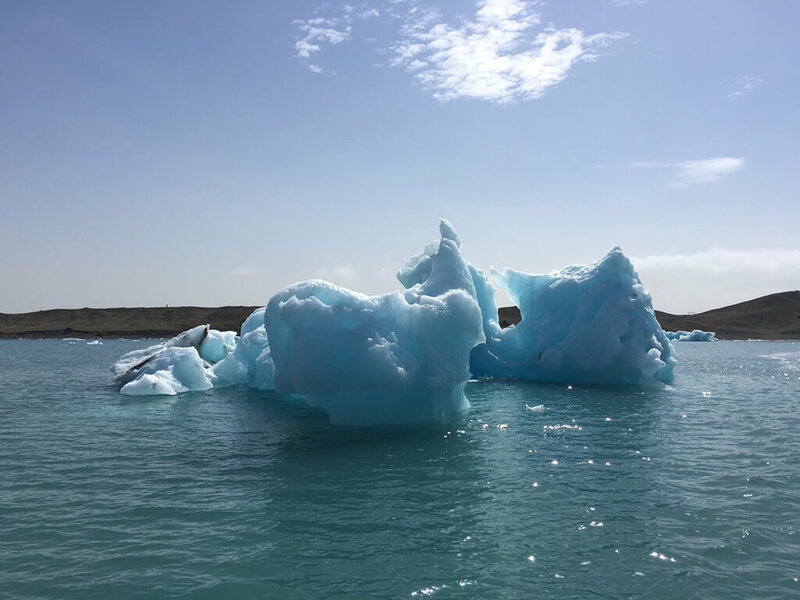 There are about four to five hours of daylight in the winter and, while you can see enough to get to different destinations, you wouldn’t experience the beauty of the glaciers as well as you would in the summer. Pack a puffy jacket and some insulated gloves and head onto a lake covered in spears of ice. That’s what Iceland is all about. If you’re a huge nerd (and proud), you’ll fit right in. 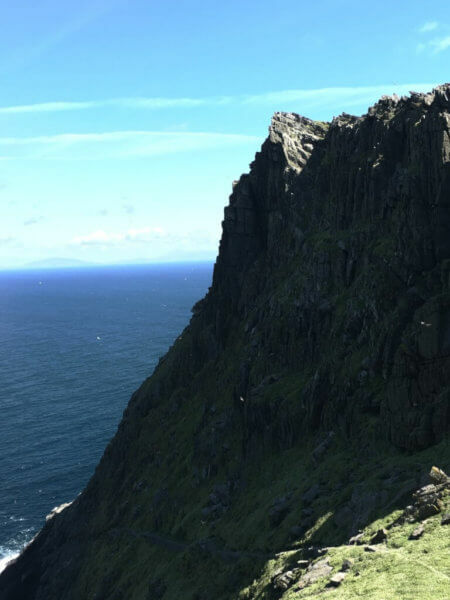 Best known for its part in Star Wars: The Force Awakens, Skellig Michael has an amazing view (and a pretty dangerous stairway) that you can only reach by boat, but only when the waters calm down enough to dock the boat without it breaking into a thousand pieces against the cliff face. So make sure you have another plan in place for the day in case the captains decide not to risk their vessels. Danger-willing Padawans of all ages should visit when the Force is with them and they are one with the force—and when they’re prepared to brave the 700-foot drop. Nothing spikes your adrenaline like wondering whether you’re two steps away from dying. 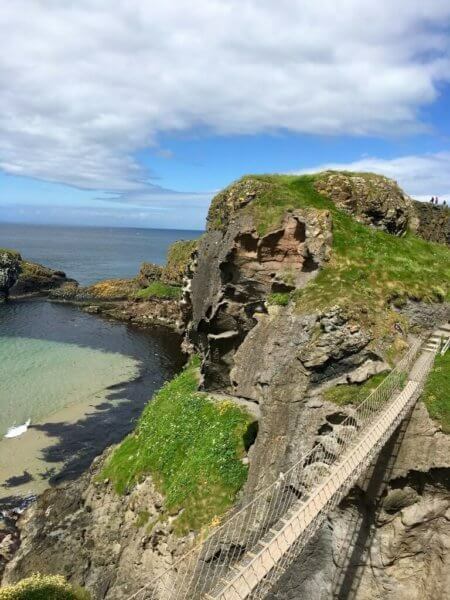 The Carrick-a-Rede Rope Bridge is old, seemingly endless and barely supported. Junkies are drawn by both the beautiful view and the challenge that the bridge presents. While looking down is not recommended, it does give you a literal bird’s eye view of the turquoise waters below. Unless you have a death wish, visit on a day when the wind won’t flip the bridge with you on it. And to celebrate your survival after crossing back (yes, you have to walk across twice) take a quick drive over to Bushmills for a taste of their famous whiskey—remember, 18 is legal here! With walls covered in detailed carvings of ancient Hindu battles, millions of people slaved over the temples of Angkor Wat to make them just right. The carvings are actually double layered…as in, you can see intricate designs underneath the first layer of carved stone. Climbing through the ruins will make you feel like a young Indiana Jones—and you’ll want to take some broken pieces of carved stone home to remind yourself it wasn’t a dream. 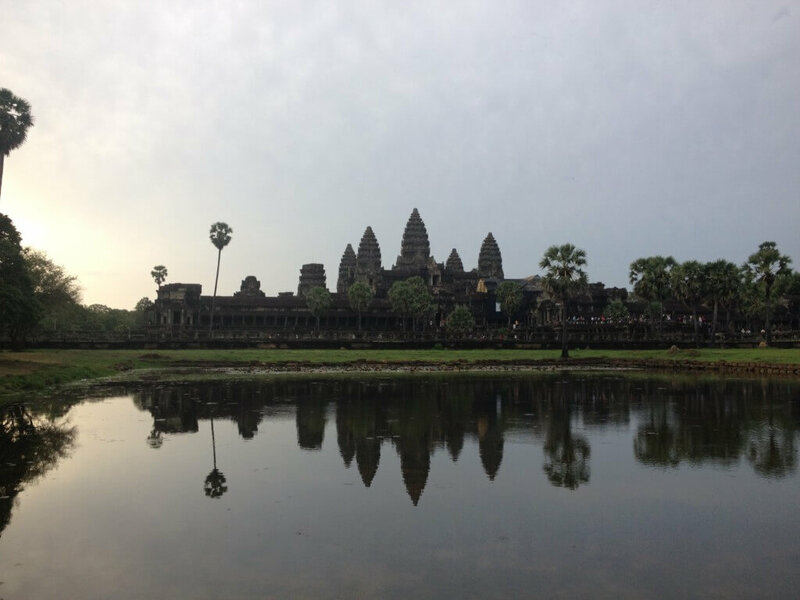 Just make sure to arrive at the main temple—Angkor Wat itself—before sunrise. Since it’s the only temple that faces West, the sun rises behind it making the temple glow. The view offers a top selfie spot and a chance to experience the city without tourists shoving you out of the way for their personal photo shoot. Quick tip: You know that sound your chest makes when you hit it with your fist? There’s one room on the third floor of the main temple called the Echo Chamber, where that resonance is echoed back, making the room sound like the inside a beating heart. When you’re entering the second most dangerous country to drive in, it’s good to start looking for other modes of transportation. While tuk tuks are fun as hell and give you a major rush, look to more exotic sources of adrenaline the further you get from cities. Chiang Mai has a few elephant businesses that are legit. 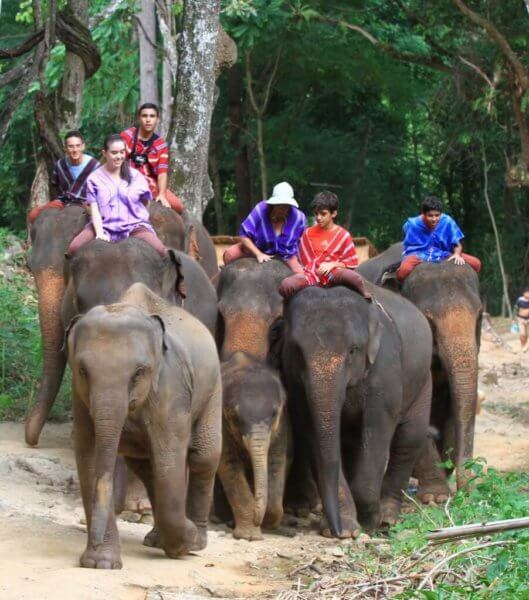 During the summer you can even get into the water with your elephants to bathe them. This is a must for any adrenaline junkies who love pachyderms and are willing to research local businesses for one that doesn’t endorse animal cruelty. Indonesia fits the bill if you’re trying to save money after paying for an expensive plane ticket and still want a crazy rush. While the islands are a beautiful beach location, one of the best experiences lies further inland. 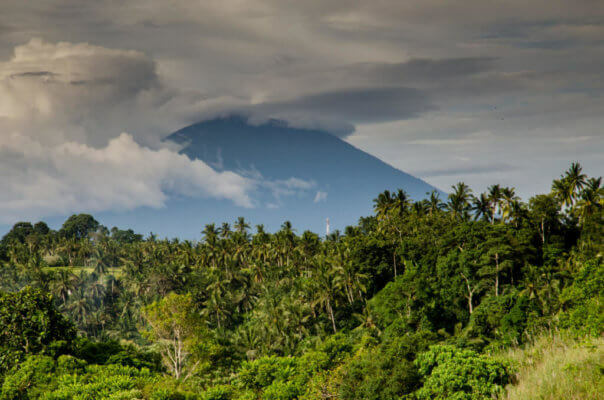 Biking down the Balinese active volcanoes is an adventure I guarantee none of your friends will have. Break up the exercise and calm your spirit (and heart rate) by stopping at a coffee or tea plantations. Only take this risk if you have a desire to gamble with your life biking on an active volcano (and when there’s a minimal chance of it erupting).